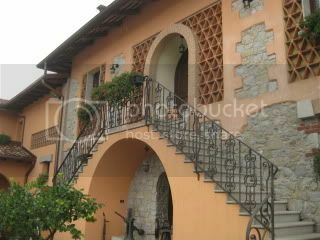 In the afternoon, we had an appointment with Moschioni in Cividale (Friuli, Italy). 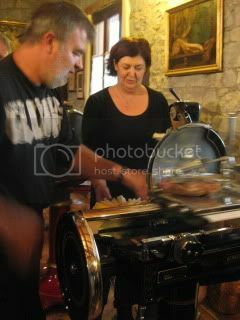 Owner/ winemaker, Michele and his wife, Sabrina, welcomed our group. 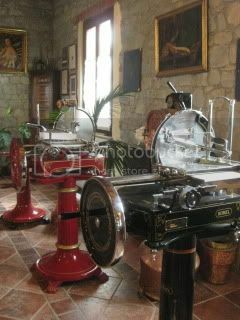 Their guest room is like a museum of antique kitchen, salami slicers , and cookery. Michele is best known for his bold-style red, which I thought is just like the character of himself. 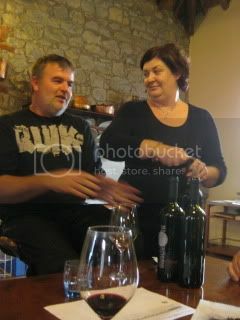 He has a very dynamic person who talks so passionately about his wines. He is a very generous person, too. 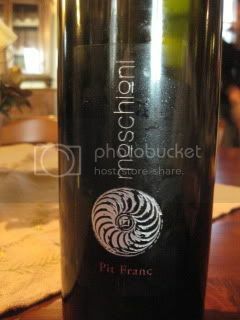 Moschioni has been making wine for 5 generations. Now, they own 10 ha. Vineyards, and most of them are planted with black grape varieties. 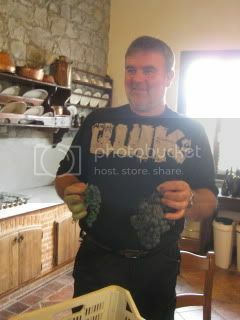 His winemaking is also very hands-on, and small production. We tasted the following wines. His wines carry Colli Orientali del Friuli DOC. 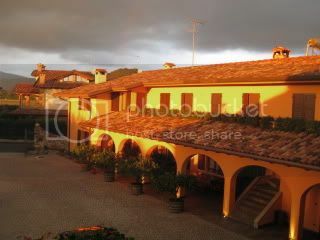 2011 Collio Bianco…Chardonnay, SB, etc. Still in Inox. 2008 Rosso…Merlot, Cab, Refosco, etc. From young vines. 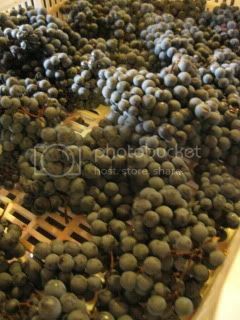 2008 Merlot, “Pit Franc”…from ungrafted vines. Magnum only. 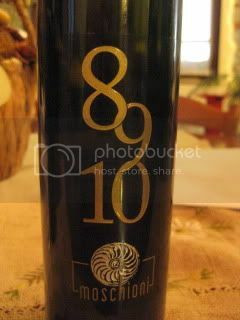 8-9-10...Blend of three vintages of Picolit and Verduzzo, thus it’s declassified as Friuli Bianco. Spumante…Chardonnay 90% and PN 10%. To be released later this year. His reds were indeed very powerful and most of them were over 15% alcohol (Merlot was 16%!). He does partial apassimento (drying grapes after harvest) for 2 weeks, so the sugar becomes more concentrated and so as the flavors. 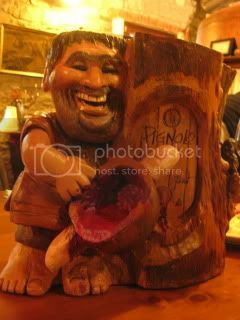 But, his wines are not overpowering, and rather have good finesse. 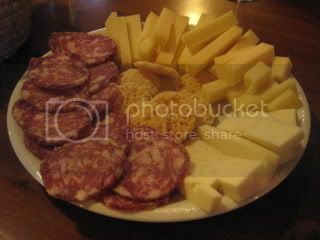 They also treated us to local cheese and salami to pair with wine. It was a very good tasting.